You already know Eyedea Worx Can help Save you money on your replication projects. Now, receive a $50 Visa Gift Card for simply referring a friend Who Becomes an Eyedea Worx Replication Customer. Simply fill out the registration form below with as many referrals as you want (Unlimited). And Eyedea Worx will reply with an email acceptance and begin tracking the referrals you send us. Who do you know that could benefit from using Eyedea Worx? 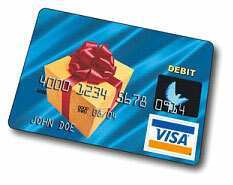 We will send the gift card once the referred customer places and pays for their order.